For this week's giveaway, we've teamed up with WaterField Designs to offer MacBook and MacBook Pro users a chance to win a Syde MacBook Case or a Maxwell Sleeve for their notebooks. Available for the MacBook, the 2016 13-inch MacBook Pro and the 2016 15-inch MacBook Pro, the Syde MacBook Case is priced at $159 and is a simple, slim bag that can hold a MacBook and a few other accessories. 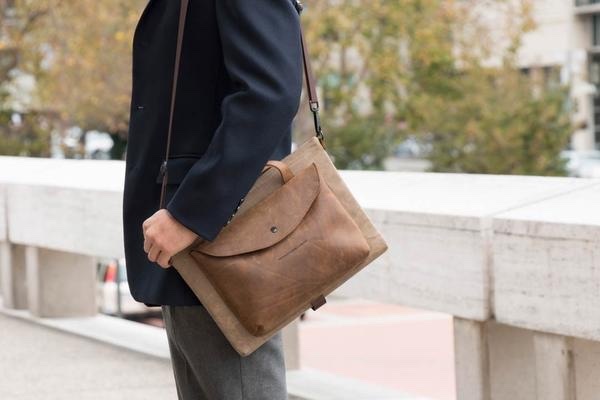 Made from either black ballistic nylon or a brown waxed canvas, the bag has a simple magnetic closure so it's easy to get a MacBook in and out. A padded neoprene sleeve keeps the MacBook safe from bumps and scratches and a leather front pocket holds a charger and other odds and ends. A leather handle is included, as is a strap, and there's also a rear pocket for holding documents. 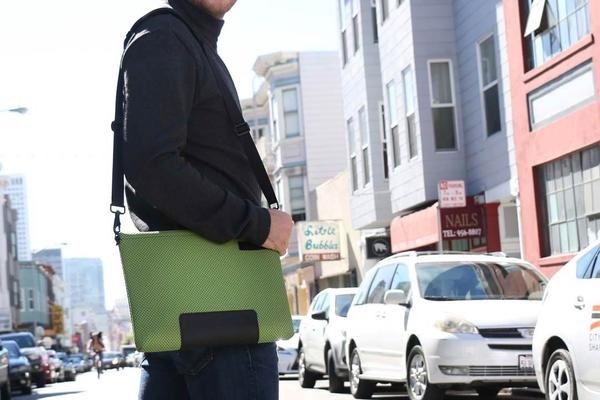 The Maxwell Sleeve is also available for the 12-inch MacBook and the two new MacBook Pro models, plus there's an iPad Pro version for Apple's 12.9-inch tablet. Priced at $99 to $119, the Maxwell Sleeve is available in a water-repellant Nanotex-coated material, waxed canvas, or ballistic nylon, and it comes in several different colors (kelly, crimson, slate, cobalt, black ballistic, and waxed canvas, a brown shade). Like the Syde, the Maxwell uses a simple noiseless magnetic closure and offers padded protection for the MacBook, plus it can be ordered in vertical or horizontal orientation. It doesn't have additional pockets or straps (but you can get one if you want), so it's ideal for sticking into another bag or backpack. We're giving away one Syde and one Maxwell, with winners to choose size and color. To enter to win, use the Rafflecopter widget below and enter an email address. Email addresses will be used solely for contact purposes to reach the winner and send the prize. You can earn additional entries by subscribing to our weekly newsletter, subscribing to our YouTube channel, following us on Twitter, or visiting the MacRumors Facebook page. a Rafflecopter giveawayThe contest will run from today (January 13) at 11:00 a.m. Pacific Time through 11:00 a.m. Pacific Time on January 20. The winners will be chosen randomly on January 20 and will be contacted by email. The winners will have 48 hours to respond and provide a shipping address before new winners are chosen. Do the winners of these competitions get posted on the site? I love my Waterfield bag. Too bad I can't enter because I'm Canadian. I've never seen any of the winners posted. I think they just put there contests up to piss us, their Canadian reader off. Waterfield bags and cases are pure quality. I have two "gear cases" for my iPhone/iPods. Absolutely love it and people ask all the time where I got it. Best of all…. all their products are made in America. Waterfield products are not cheap, but just looking and touching one and you can tell they are made from quality material and quality build. My iPhone gear case is probably the ONLY such case/gearbag that is padded. And my gearbag is made with real canvas. You just cannot get something like it from anywhere else. Especially not from the cheap Chinese-made products. FREE Waterfield gear? I'm always up for that. But they're never getting another dime from me since they said they'd repair my Waterfield bag for free, but then refused. They had me ship it over at my own expense, then tell me they couldn't fix it because they no longer stocked the material, even though I had sent them photos of the damage before they agreed to fix it. Then they ignored all my subsequent requests for reimbursing my shipping costs. Way to go, Gary. I had bought so many things from you, but you lost a customer for life. I own a couple WaterField bags. They are great. Latest is the Staad Attaché; just got it for my 2016 MBP TB. Can't recommend the bags or the company enough! Would love to enter but I need to subscribe to the YouTube page? I don't have a google account anymore because I deleted it years ago. Lame. I won one of these contests once. I'll trade you my prize for your national health care. I was wondering the same thing. I have entered a ton of these contests, but never once seen a winner announced or heard from another user saying they won. I bought my waterfield Cozmo bag years ago, and it's still going great. I just got my new staad bag. I adore it already and I have had it for all of 30 minutes. Talk about a timely post. The 13 pro fits perfect. The iPad slides in the back. The accessory bag I bought hold all the cables and dongles. I could not be happier with the bag.